I've always LOVED baking and cake decorating. So when my girlfriend Jane asked me to make her wedding cake, guess who jumped at the chance? In this gorgeous video you'll meet me in my Connecticut kitchen. 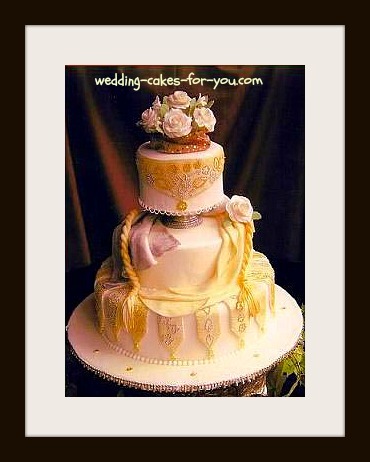 The video also features two beautiful brides and my first wedding cake. 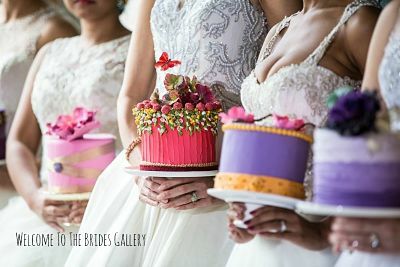 Filmed on location at Wedding Cakes For You in 2017. Video created by Joaquin Maceo Rosa of Gr8Reels.com and his wife Corina. Look for this gorgeous couple in the video. You never know where it can lead. I met the love of my life at Jane and John's wedding. Jane had planned it all along of course ;-) One year later it was our turn to tie the knot. 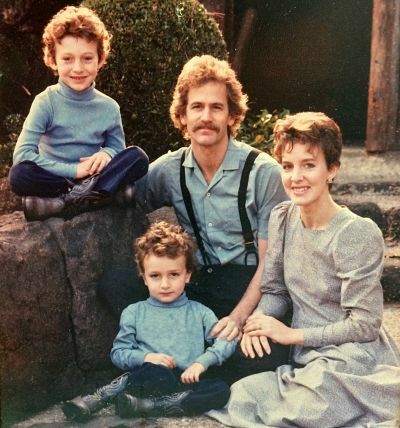 Scott not only became a husband that day, he also became "Daddy Scott". We moved to California for a new beginning. 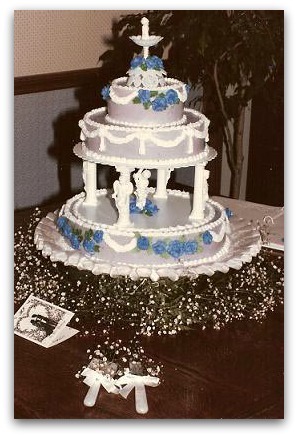 Our lives changed in a big way with that first wedding cake. This led to my first bakery position, which led to the first home based business. "I Do Cakes" a clever name my sister in law thought of. 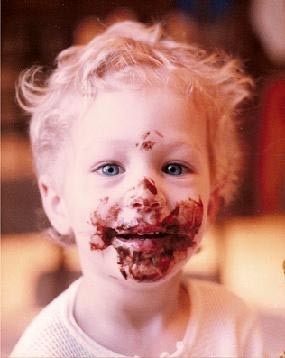 All of that led to the most beautiful creation of all...our son Chad and a move back to the east coast where "Lorelie's Luscious Cakes" was born. With many visits to the gym after Chads birth, fitness became another great passion. Cakes were still on the back burner, pun intended, as I received my personal trainer certification. Fitness coaching was my new side business for the next ten years. I called it "Personal Training with a Twist". So what was the twist? Promoting delicious, and fattening, cakes while simultaneously promoting personal training services of course. 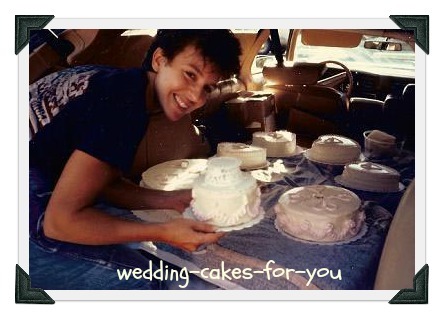 Cakes were still center stage as I worked as a full time pastry chef. 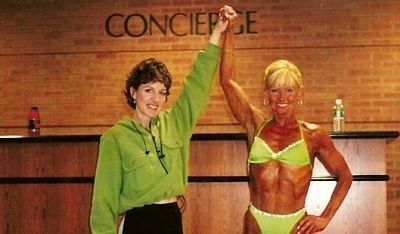 Amid all of the pumping iron, dance classes had ensued to help build skills and much needed confidence for bodybuilding competitions. Once again little did I know where those dance classes would lead. So where do they come back in to the story? Everywhere, in between, before and after. 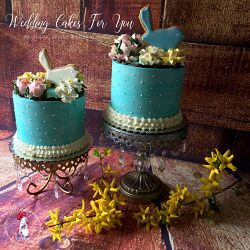 My passion for cake making never left me, although I had to leave cakes for a while. 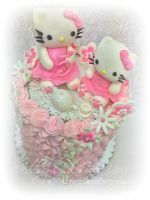 With serious neck injuries threatening my well being I couldn't continue churning out hundreds of cakes and pastries anymore. In 2004, I was very excited when the Connecticut Chef's Association gave the "Blue Ribbon" and the "Directors Choice" award to my Middle Eastern themed fondant design. (pictured below) What a feeling of accomplishment that was. 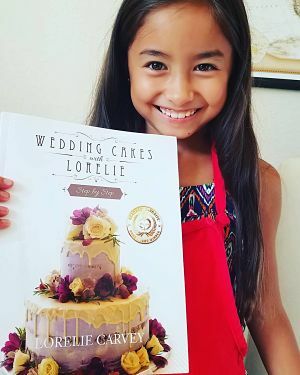 I am here to encourage YOU to build YOUR skills and confidence so you can create beautiful cakes, create cherished memories for yourself, for others, and fulfill a dream. Follow your passion, whether it be to simply bake one special cake, enter a competition or start a business. You can do it! We have three grown sons now and four adorable grandchildren. The Church Lady is my brother in law and my husband Scott Carvey is funnier LOL. Well isn't that special. Sharing baking with my grandchildren is one of my greatest pleasures. You can see how much they enjoy it in these video clips. These two are just plain silly! These two are making a cake for daddy! 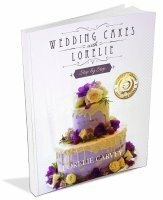 Wedding Cakes For You Website, books and video provide aspiring bakers with the recipes and steps for building skills and confidence to create beautiful cakes and cherished memories. 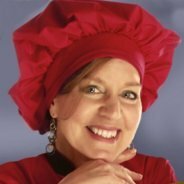 My ebooks are designed to help people who are just starting on their cake journey. 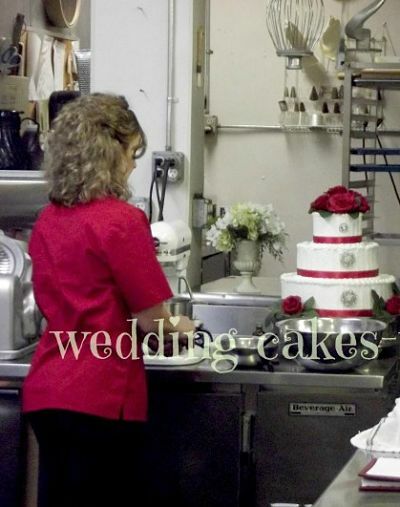 Take a peek to see how they have helped so many cake decorators, hobbyists and professionals. Our beautiful niece also loves to bake. "Lorelie! I am so proud of you! 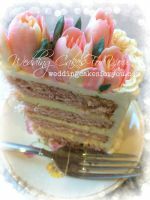 I can't believe our wedding cake changed your life! It truly was a beautiful and delicious cake. 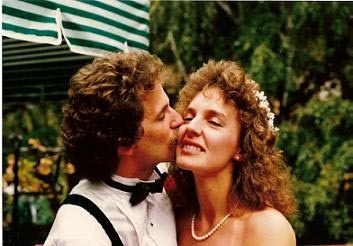 We just celebrated our 25th wedding anniversary. 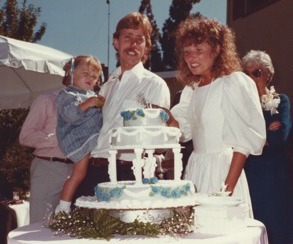 Hard to believe you made this cake 25 years ago.